When Is A Terrorist Not A Terrorist? When He’s White! A man has been found guilty of trying to cause “maximum damage” by making a bomb filled with ball bearings and leaving it on a Tube train. 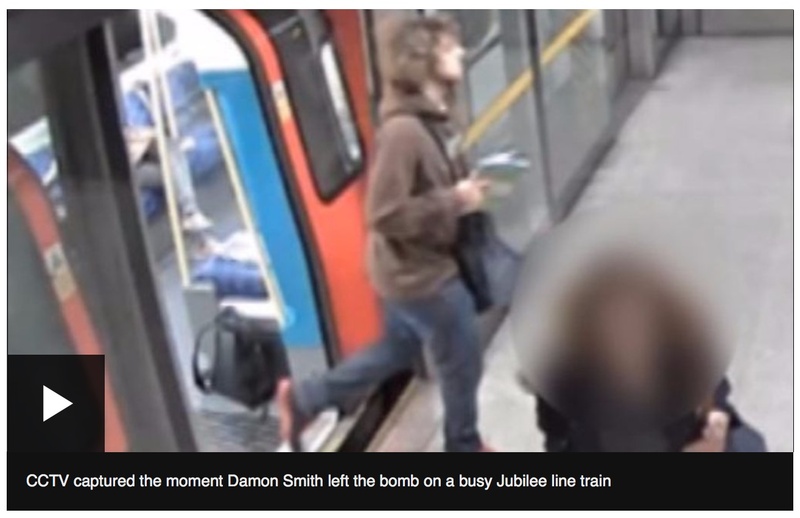 Damon Smith put his homemade device into a rucksack and left it on a Jubilee line train in October. The 20-year-old had admitted perpetrating a bomb hoax but claimed it was a prank. Had it worked, the bomb would have exploded just as commuters were leaving the North Greenwich station platform. White man builds bomb filled with shrapnel, designed to cause maximum damage. White media: IT WAS A PRANK. HE’S AUTISTIC. A LONE WOLF. This isn’t terrorism. Nope. Not in any way. Even though he deliberately set out to cause terror by killing and maiming as many civilians as possible. We would not know his mental history. We would not be calling this a prank. We would be calling this a terrorist plot.